Well that was some stormy night last night. I managed to finally fall asleep at about 3.30 am as the wind began to die down a little. I hope you didn’t suffer too badly if you’re in the UK (although if you’re in the north, you have it to come later today). 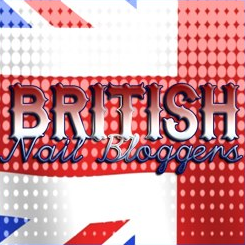 I wore these faceted heart studs from the Born Pretty Store last week when I wore CND Vinylux Daring Escape. I thought the gold would go well with the teal polish. I stuck the studs on with a dab of nail glue. I could of course have top coated over them, but as I was wearing a CND Vinylux polish, I didn’t want to risk ruining my manicure by using a “normal” top coat. I’ve since read some blogs where people have perfectly successfully used normal top coat over CND Vinylux though, so I’ll know next time. I think they look rather lovely, and I’ll be using them again – perhaps over red – come Valentine’s Day, I’m sure. These faceted heart studs are currently on sale and cost just $0.99 for a pack of 10. 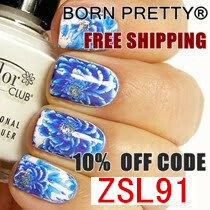 For an extra 10% off this or anything else in Born Pretty’s online store, you can use the discount code ZSL91. The Born Pretty Store heart studs shown in this post were sent to me for review. All views expressed in this post are my own, honest and unbiased opinions.